Wondering why the Redemptorist is a dying order? Amomg many other faulty practices they have adopted, and laudable traditions they have discarded, this is a foremost reason. 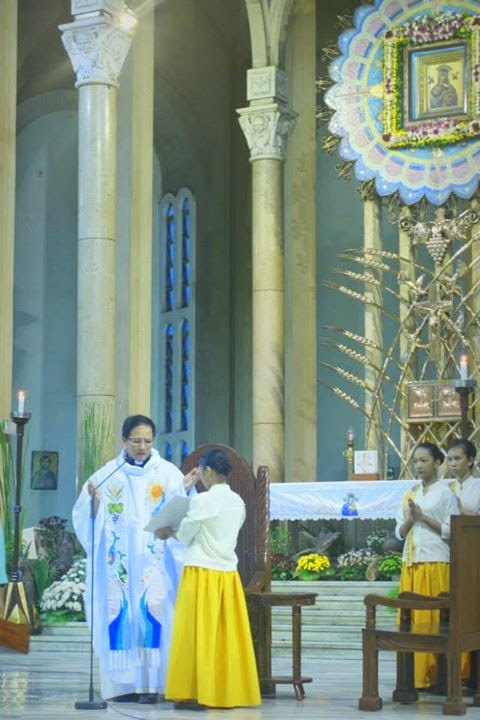 How can you promote PRIESTLY VOCATIONS if you have ALTAR GIRLS? Soon enough, these girls would start asking why can they not do what Father is doing? While the boys walk away from a group/club which accepts girls. STOP THE PRACTICE OF HAVING ALTAR GIRLS! NOW! A wonderful way to prepare for Sunday Mass tomorrow. Listen, and reflect. Today is the feast of Ina ng Laging Saklolo. Kailan mo siya huling tinawag? Nilapitan? Naalala? Most Catholics, and most non-Catholics, misunderstand our saint for the day. They often times equate him with discipline and sternness. 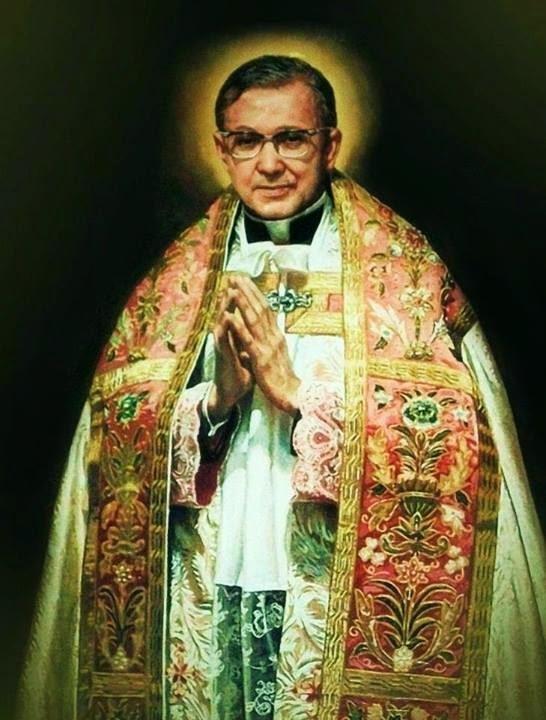 Far from these limiting adjctives, Saint Josemaria Escriva is more than just that. Like all other saints, he calls us all to holiness. You say the Mass is long, he says, because your love is short. Strong words for some who rush to the parking lot before the final blessing just so they do not get stuck in the mad rush after Mass. Strong words for those who say the Tridentine Mass is long and boring. This Mass, by the way, has always been the Mass St. Escriva prayed. Holiness has a price. And it is cheaper than the a one-way ticket to hell. You need to spend 4 years of studying Philosophy and 4 years of studying Sacred Theology in order to receive the Sacrament of Holy Orders so you get to do this! 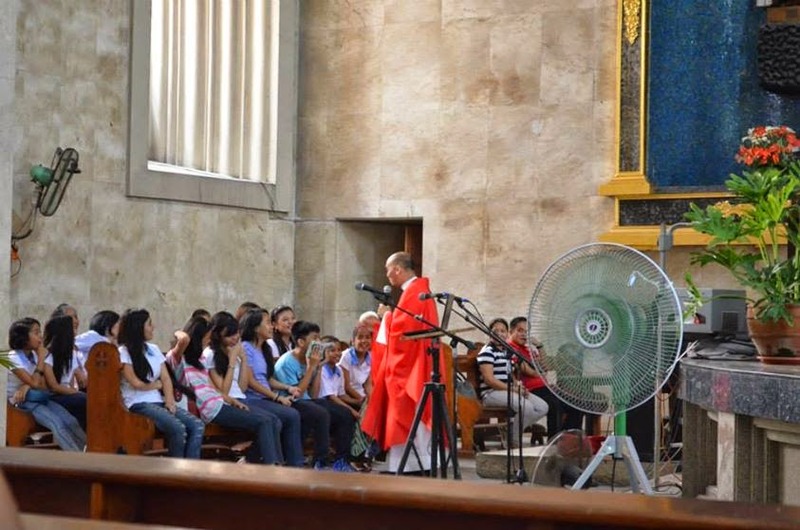 If you look closely, one the priest there is the guy that did that stupid studio pose and asked people to "Pare, mag pari ka!" And the other one is so notorious in his long torturous homilies peppered with anecdotes and jokes, you leave the church scratching your head if you went to a Kris Aquino talk show or the Holy Mass! The people were so fed up they petitioned this priest to be relieved of his duties as parish priest! 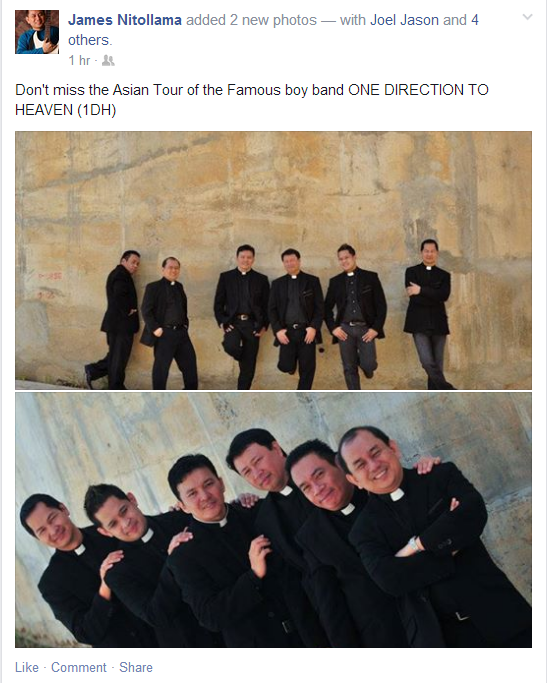 Do you need to be ordained just to fulfill your childhood dream of becoming part of a boyband? I have witnessed a lot of times how some people would come rushing to the rectory (you get the idea how I know this things) in the middle of the night, asking for a priest to come to their house because their relative is dying, and they desperately need a priest to perform the Last Rites. No priest in the rectory. Why? Tons of reasons, some are valid, lots of them would make you scratch your heads in disbelief. To the priests who stay true to the calling of their ORDINATION, God bless you. You are indeed shepherds after the Heart of the Good Shepherd. Don't wait for a visit from someone in Heaven to knock some senses into you. Remember the purpose of that clerical tab. Remember the purpose of why you received the powers of Holy Orders. What's up with colored surplices, huh? Do the liturgists forget that surplices are smaller versions of the alb? And that the alb is reminiscent of the baptismal garb? And since when are white gloves a liturgical thing? 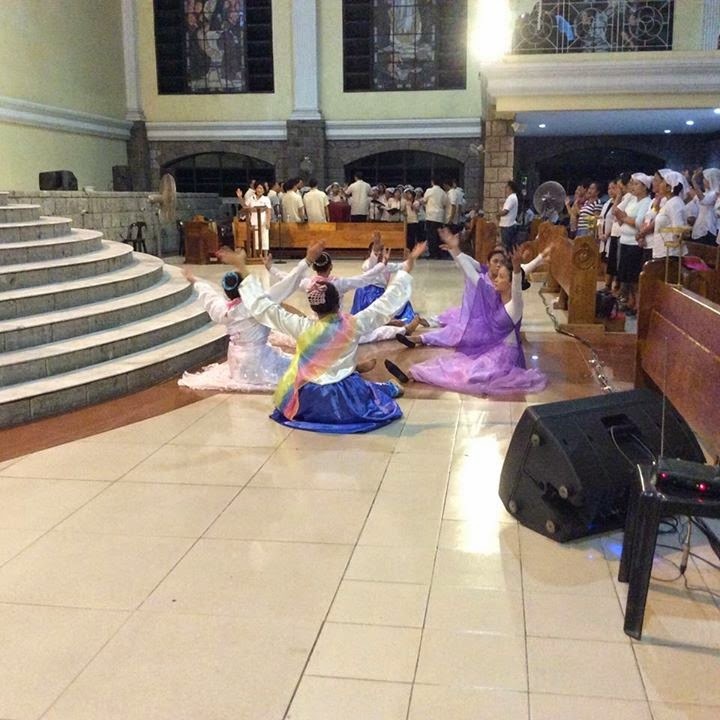 Here we go again: dancing at Mass marking the anniversary of El Shaddai in the Diocese of Pasig. Does the dancing make the Mass more interesting? More lively? More appealing to the eye? And the Bishops allows it. Tanong ko lang. May mga nagsasayaw ba sa paanan ng krus nung pinako si Kristo? 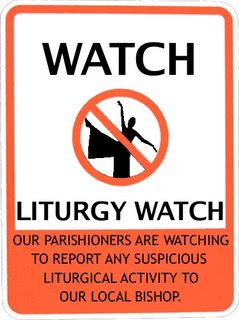 Liturgical Dancing is NOT ALLOWED at any Mass! 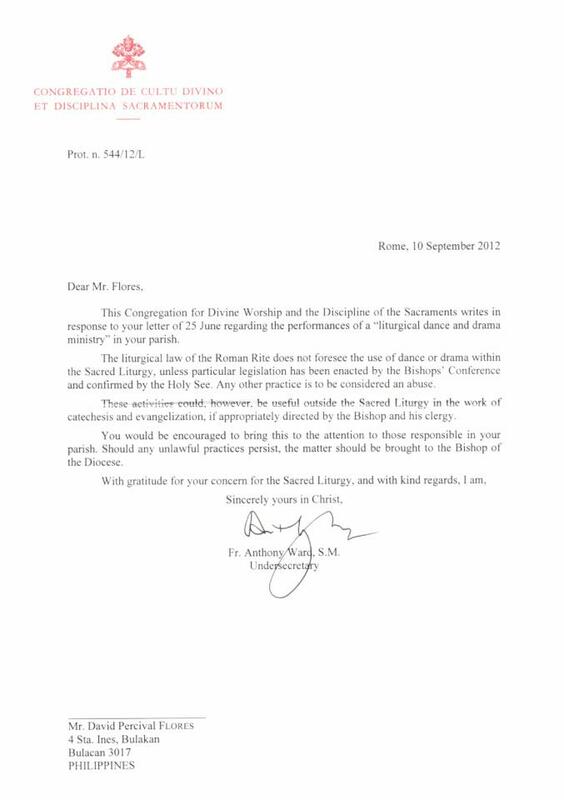 Look at this official correspondence from the Sacred Congregation of Divine Worship and Discipline of the Sacraments. But it is done at the Basilica of the Black Nazarene in Quiapo. 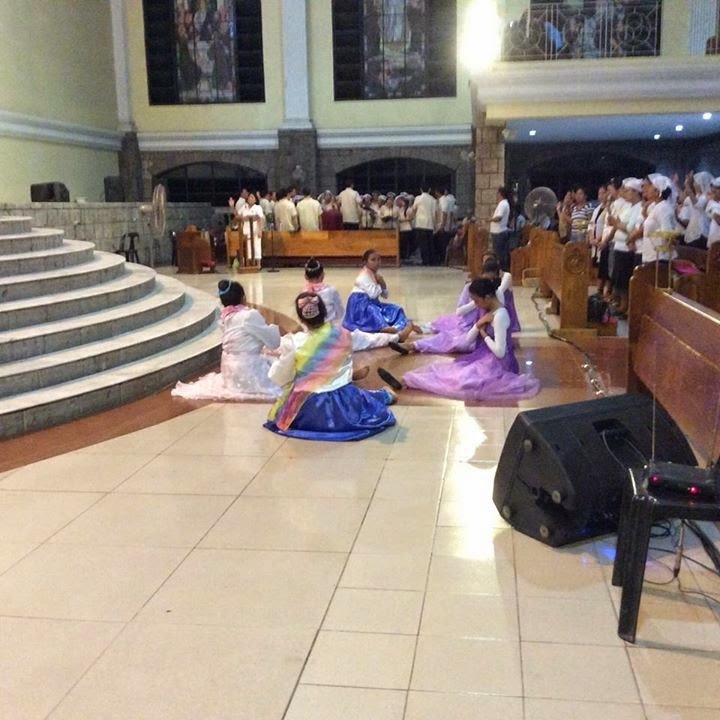 They pilgrims to walk on their knees (lumakad ng paluhod). But liturgical dancing is ok for them. Even though the Holy See has specifically forbidden it. If adults teach young ones to DISOBEY the law, what do you expect these kids would do when they grow up? Hmmmm? It's not just a simple liturgical law violation. Adults teaching children to disobey the law is IMMORAL. I do not see the need for saying 'good morning' and similar greetings when God's real presence in the Eucharist alone suffices. Makikinig kaya sa kaniya ang mga pari? Sana mauna sumunod ang Chancellor mismo ng Manila. Beach Masses were some of our top posts in TPC like this one and this one. Now we have one for a resort! Here are the people attending the Mass. And look at this guy! Chill!!! 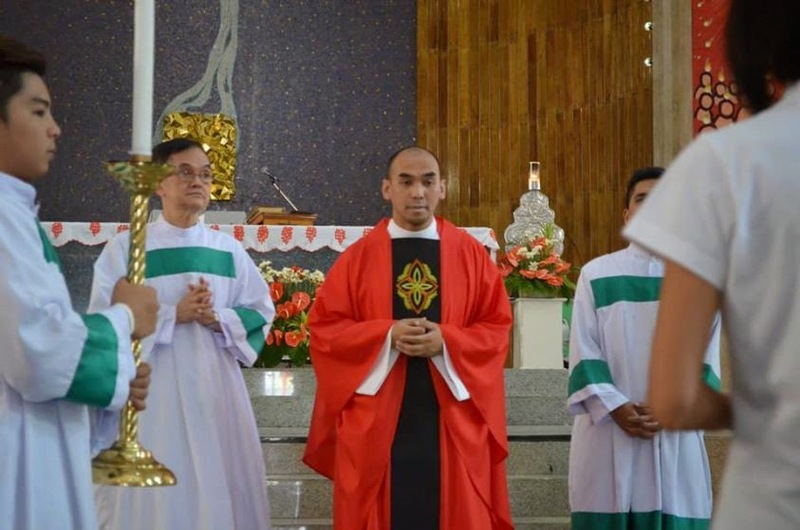 And here are the priests, who are "properly" vested for the Mass or for the excursion? And here is the "bigger" picture. I am told that these are Blessed Sacrament priests. And they treat the Mass like these. Parang ritwal na walang pakialam ang mga pari sa tao parang nagluluto sa kusina na nakadamit Cleopatra. Napaka ad hominem naman nitong ultimate hypocrite na ito! Tama na. Sobra na. TAPUSIN NA. Alam niyo, siya ay isa pang Somascan. Kaya sumulat kayo sa Somascan Provincial Superior. I-report natin kung gano ka WALANG MODO itong pari na to. 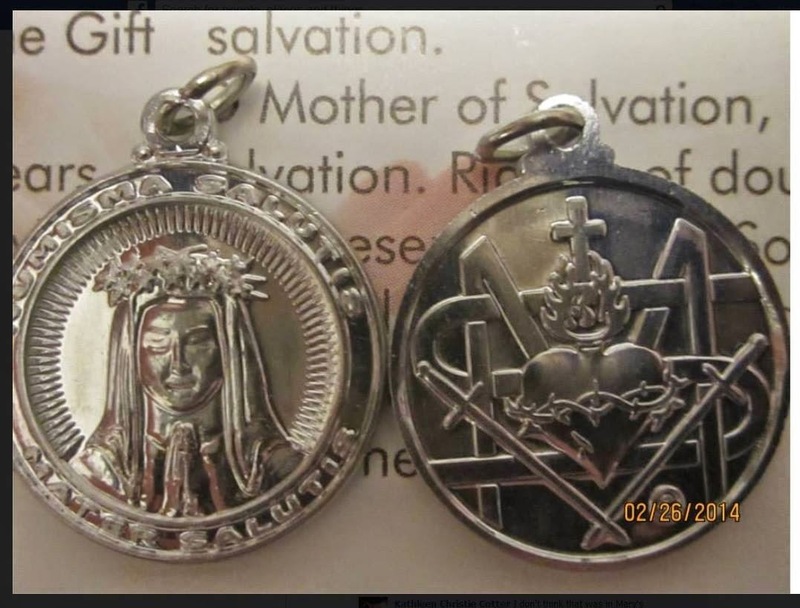 The phony Maria Divine Mercy is propagating this fake Medal of Salvation. First of all, the Archdiocese of Dublin has already declared that the messages and alleged visions are in contradiction with Catholic theology, and have no Ecclesiastical approval. 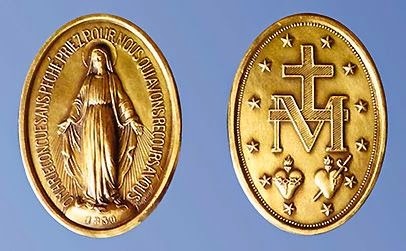 Wear instead the Medal of Our Lady of Grace. How important is the Mass to you? Sabi ni Padre Pio, mas makaka-survive daw ang mundo ng walang araw kaysa walang Misa. Ikaw, gano kahalaga sa iyo ang Misa? Handa ka ba mamatay para makadalo lang sa isang Misa? Handa ka ba makulong, o mabugbog? 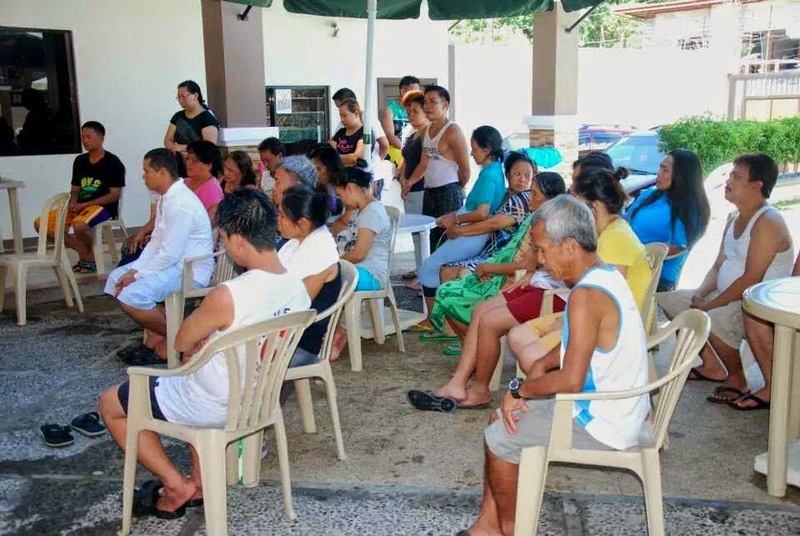 O kaya handa ka ba magising ng maaga para dumating bago ang Misa? O kaya naman handa ka bang magbihis ng pormal at maayos para sa pagdalo sa Misa? This blog has been criticized and ridiculed because it advocates proper and correct Liturgy. To the readers of this blog, it's not about me or you or us, or him, or them. It's about what our Lord deserves in the Mass. Vatican City, 14 June 2014 (VIS) – The Holy See Press Office published further information on the Pope's engagements during the months of July and August 2014. During the month of July, all Wednesday general audiences will be suspended. They will resume on the first Wednesday of August in the Vatican, taking place on 6, 20 and 27 August. On Wednesday, 13 August, there will be no general audience as the Pope will travel to Korea (from 13 to 18 August). The Angelus prayer will continue to take place in the Vatican every Sunday in July, except during the days of the Holy Father's absence during his trip to Korea (Sundays 15 and 17 August). 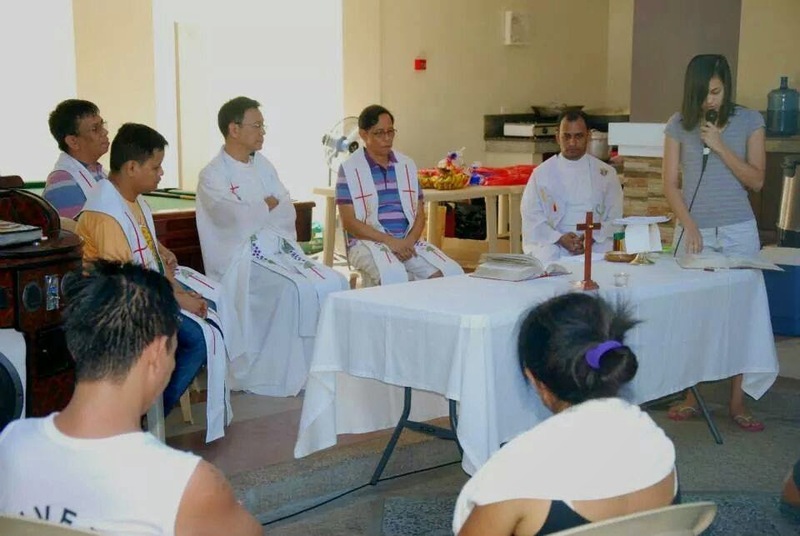 The morning mass at the Domus Sanctae Marthae will be suspended during the summer, from early July until the end of August, and will resume at the beginning of September. 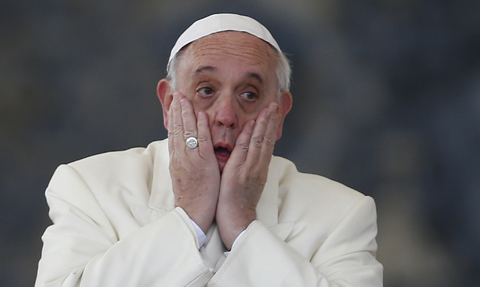 In a most recent news, the Holy See Press Office has denied the Holy Father is sick. Always keep in mind, that popes are no superhumans. They are humans occupying a supernatural office. 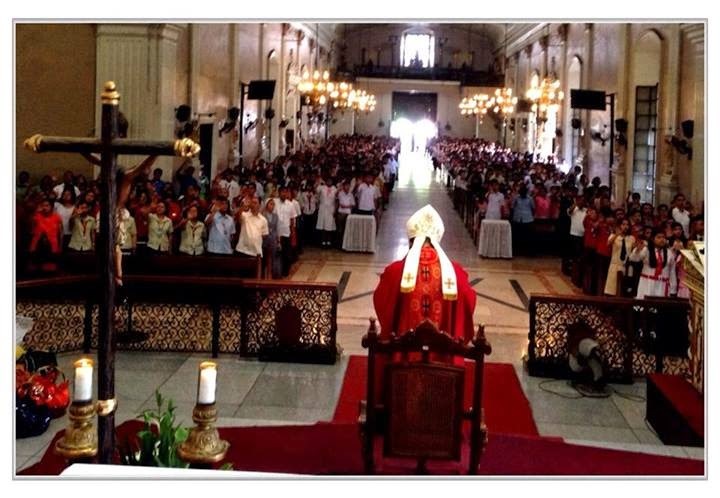 Ano yung nasa taas ng tabernakulo? At sino may kasalanan ng GULP na ito? San ba natutunan ng pari ang ganitong arrangement? O pari nga ba? Baka nagpapari-parian lang. Answers in the comment box! BREAKING NEWS: Theologians approve miracle attributed to Venerable Fulton Sheen! PEORIA, Ill. (CNS) — The possible miracle needed for the beatification of Archbishop Fulton J. Sheen took another step toward papal recognition June 17 when a panel of theologians met at the Vatican, the Archbishop Fulton Sheen Foundation announced. 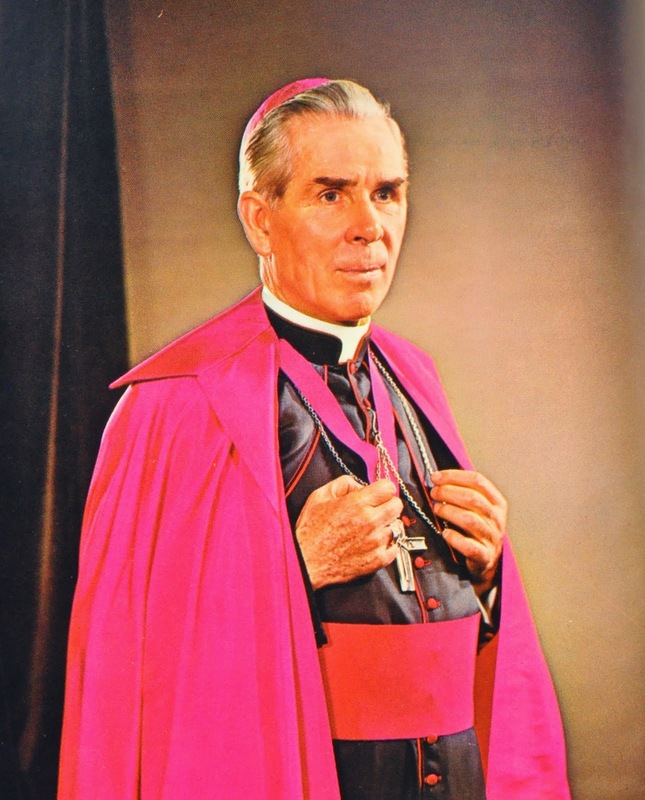 As a normal part of the sainthood process, the theologians met to consider whether or not the promoters of Archbishop Sheen’s cause demonstrated that the proposed miracle — the survival of a child delivered stillborn — occurred after prayers for the intercession only of Archbishop Sheen. In March, a seven-member board of physicians convoked by the Congregation for Saints’ Causes agreed there was no natural explanation for why the boy’s heart started beating 61 minutes after his birth. Archbishop Sheen was a Peoria diocesan priest who gained fame for his 1950s television show “Life Is Worth Living” and for his 16 years at the helm of the Society for the Propagation of the Faith. The archbishop died Dec. 9, 1979, in New York. “Finally, the miracle would be presented to Pope Francis, who would then officially affirm that God performed a miracle through the intercession of Fulton Sheen. 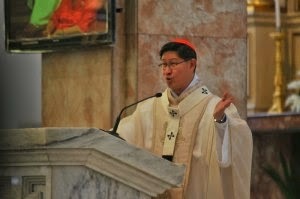 There is no timeline as to when these next steps might move forward,” Bishop Jenky said. 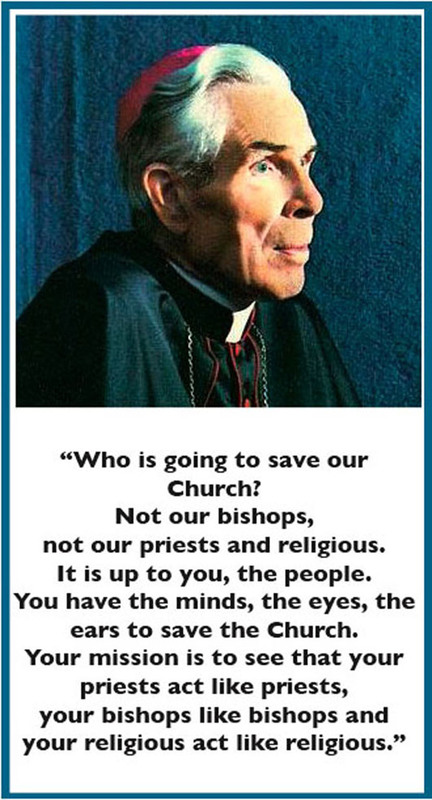 Another miracle would be needed for Archbishop Sheen’s canonization. 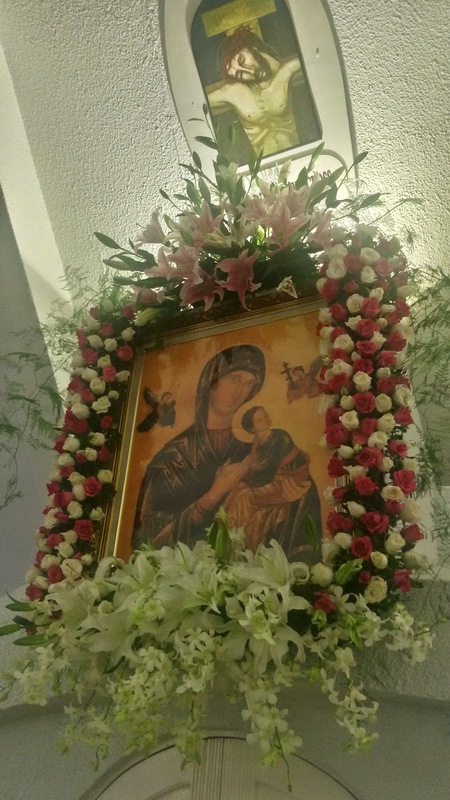 I grew up with a devotion to Our Lady of Perpetual Help. Tomorrow, the novena for her feast on June 27 will begin. 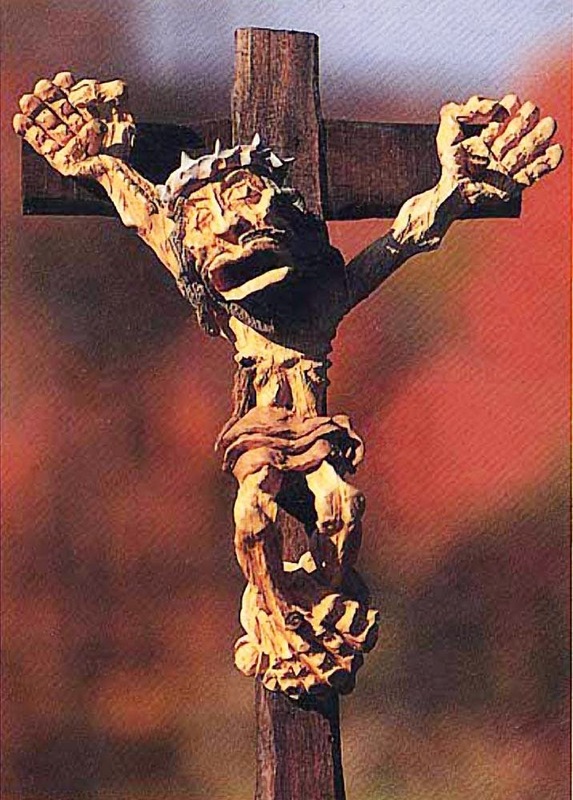 May I ask the readers of this blog to dedicate their novenas to the eradication of Liturgical abuse. 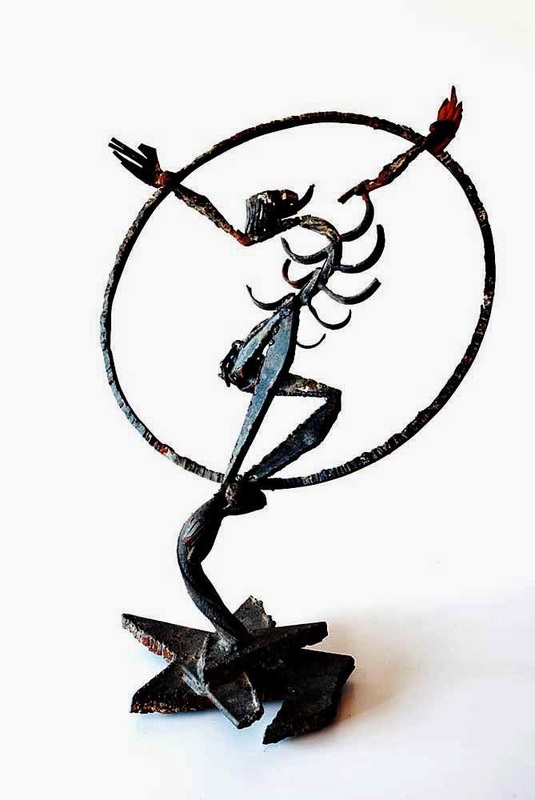 Images are supposed to evoke religious piety and fervor. 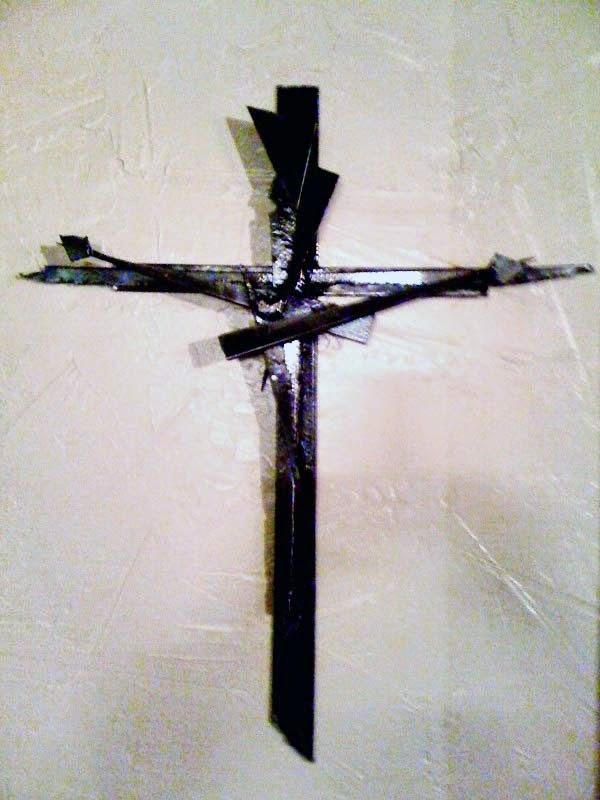 Crucifixes are supposed to recall the passion and death of our Savior. Would you even think of his bitter suffering looking at these? Or would you suffer just by looking at these? 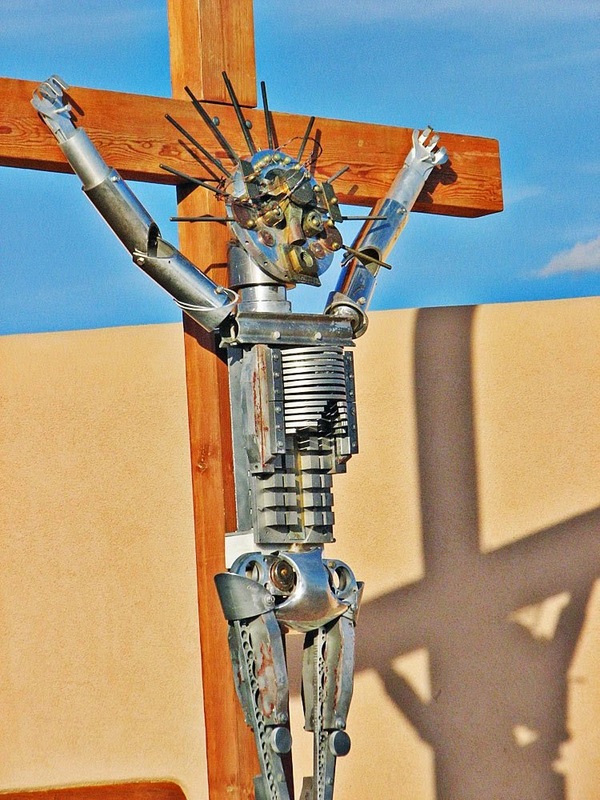 Never before in the history of the Church have we seen religious art that are neither religious nor art. And lay people are commonly doing it now. On instructions by the priest. And the teachers are asked to gather around the table, and everyone is asked to stretch out their hands and pray over the dear teachers. Everyone, including the children. Do the kids know what they are doing? See that young boy there on the left foreground? Yeah, that expression says it all. See that EMHC at the back? Feel na feel. We have tried so hard to clericalize the laity that these sacred actions like the stretching of the hands to pray over someone, to pray with hands raised, palms facing heaven (aka orans posture) during the singing/praying of the Lord's Prayer. We have trivialized these sacred actions, the expressions of the kids says it all. Note to charismatics: Look for the most important gifts. Speaking in tongues like how I have witnessed it in charismatic prayer meetings is not the kind of gift of tongues the Church needs right now. Speak in different languages to spread the Gospel to all of mankind. Pray for that gift. GULP ALERT: Why involve sacred vestments with a sporting event? 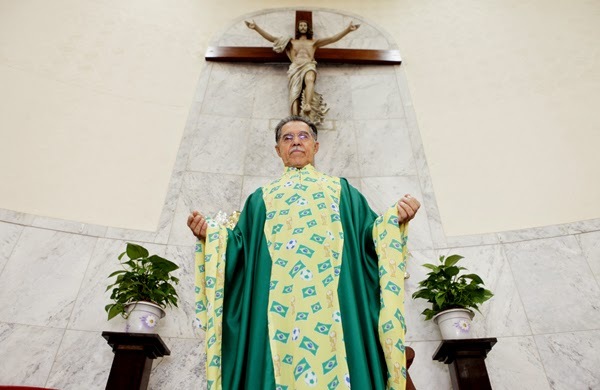 A Brazilian priest flaunts his new chasuble. What has the World Cup got to do with our salvation? Why do we even have priests who think this way? This is what Islam truly is. This is what is happening in Iraq and those in power to protect these Christians are just doing nothing. 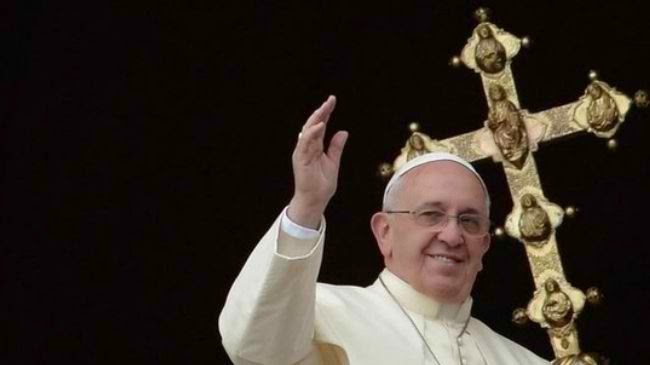 BREAKING NEWS: Pope Francis hints that he may resign too. The Pope was interviewed in the Spanish newspaper La Vanguardia. You can read the full English translation of the interview here. The pope discussed a lot of things and mentioned about the teaching of Benedict XVI about the relationship of science and faith. But when he was asked about the renunciation of Benedict XVI, he made this comment. He also mentions that before the conclave, he already submitted his resignation to Benedict XVI after reaching 75. He said he was already ready to retire and get back to the parish life. But we know how things changed when he was plucked out of Rio and into the Vatican. What do you think of the renunciation of Benedict XVI? Pope Benedict has made a very significant act. He has opened the door, has created an institution, that of the eventual popes emeritus. 70 years ago, there were no emeritus bishops. Today how many are there? Well, as we live longer, we arrive to an age where we cannot go on with things. I will do the same as him, asking the Lord to enlighten me when the time comes and that he tell me what I have to do, and he will tell me for sure. Two things to consider here. The Holy Father praises the act of supreme humility of the pope emeritus. Second, he was valid in his argument about having bishop emeritii. There were none before. But because of the advancement in science, men live longer. Thirdly, he too will make the decision if the Lord tells him to do so. Of course, seeing him now, he is like a young St. John Paul II. He is full of energy. We may not see that in the near future. But it all depends upon the him and the Lord. No one holds the KEYS as a right. It is a very very very great privilege. And it is such a burden. Only the man can say when he has done enough to hold the keys. And it takes courage and humility to do that. Imagine that! A man letting go of the keys of the kingdom of heaven. Talagang hindi tumitigil ang paring ito sa pagsulong ng mga kabaklaan niya. 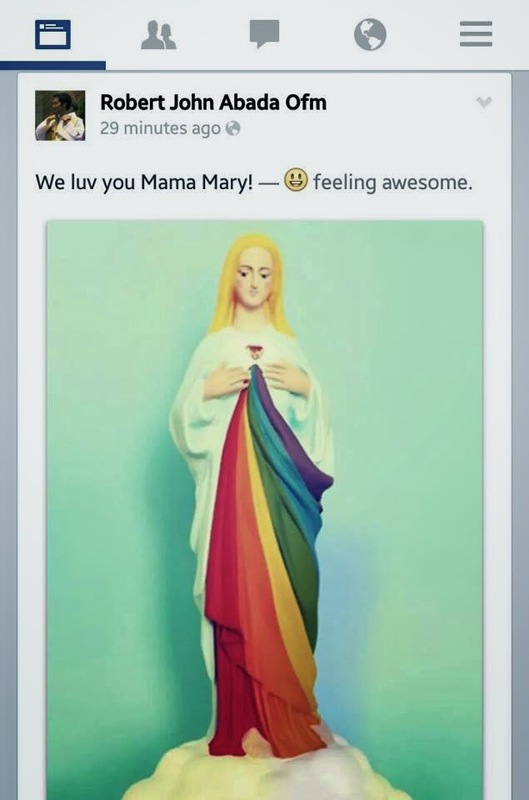 This is an image of the Virgin Mary with a rainbow colored cloak. Ano mali diyan tanong niyo? 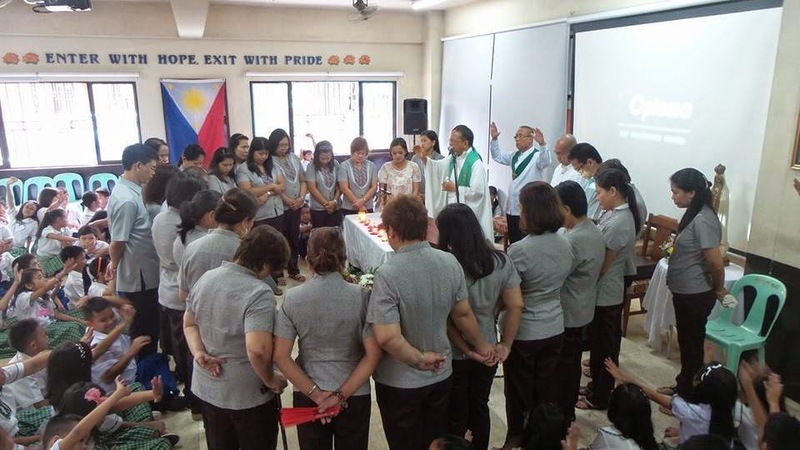 The Rainbow Sash Movement is an organization of Gay and Lesbian Catholics, with their families and friends, who are calling for conversion of heart in the Church around its treatment of gay people. The rainbow is the most recognizable symbol of the gay community. GAY. 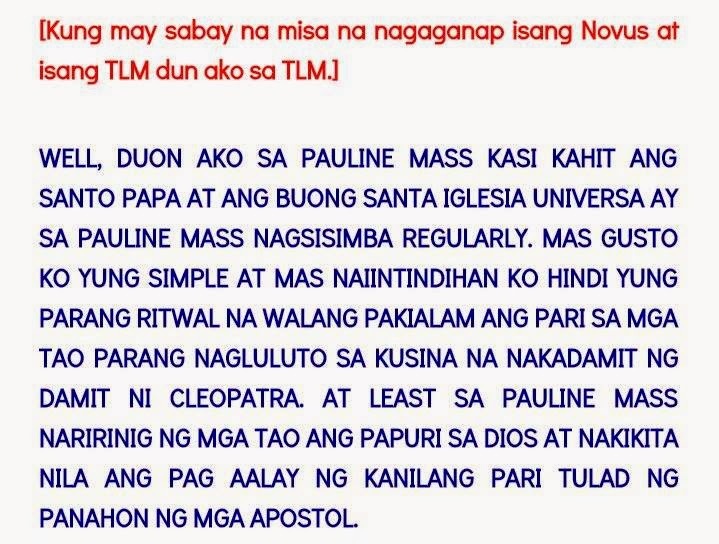 Tama ba na gamitin yan sa rebulto ni Mama Mary para lang masulong ang pagka-bakla niya? 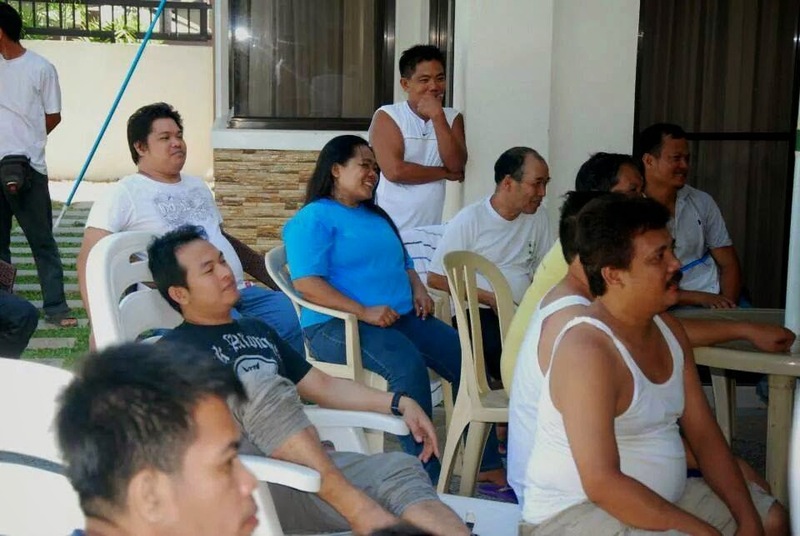 Siguro friends sila nung 2 teacher na bakla din? 2 teacher or tatlo? Let us study Pascendi Dominici Gregis again shall we? And no he doesn't look very boyish like how most statues portray him. 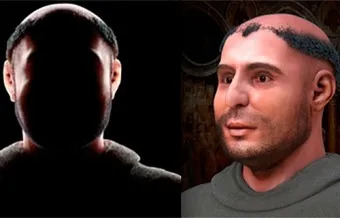 This was done through 3D forensic facial reconstruction technology by a team of archeological facial reconstruction experts. 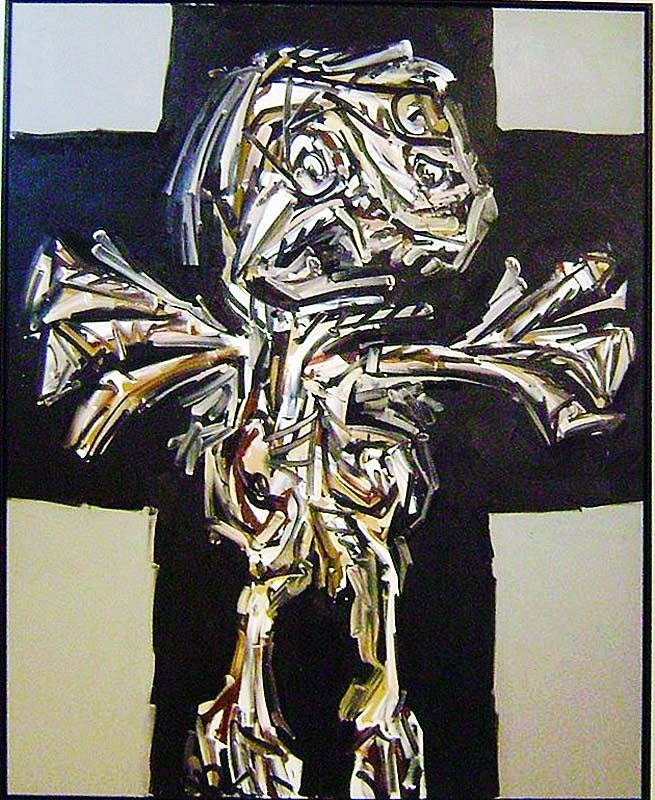 They relied heavily on a digital copy of the saint's skull. 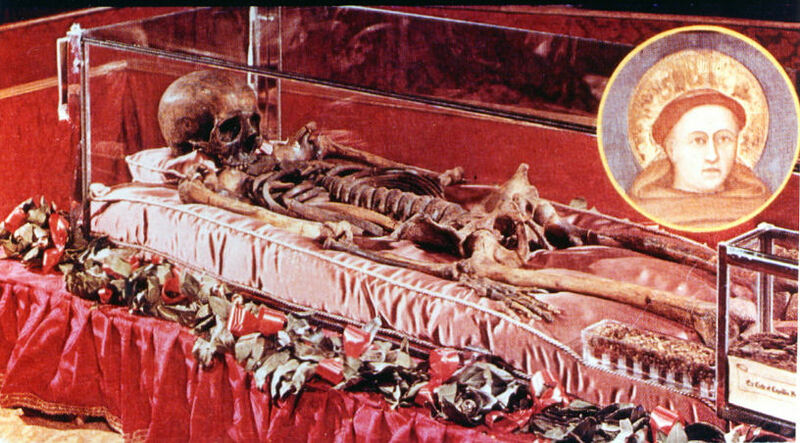 By the way, the remains of the saint are preseved at the basilica built in his honor. Next time﻿, let's have images of St. Anthony looking like this, ok? Instead of this. 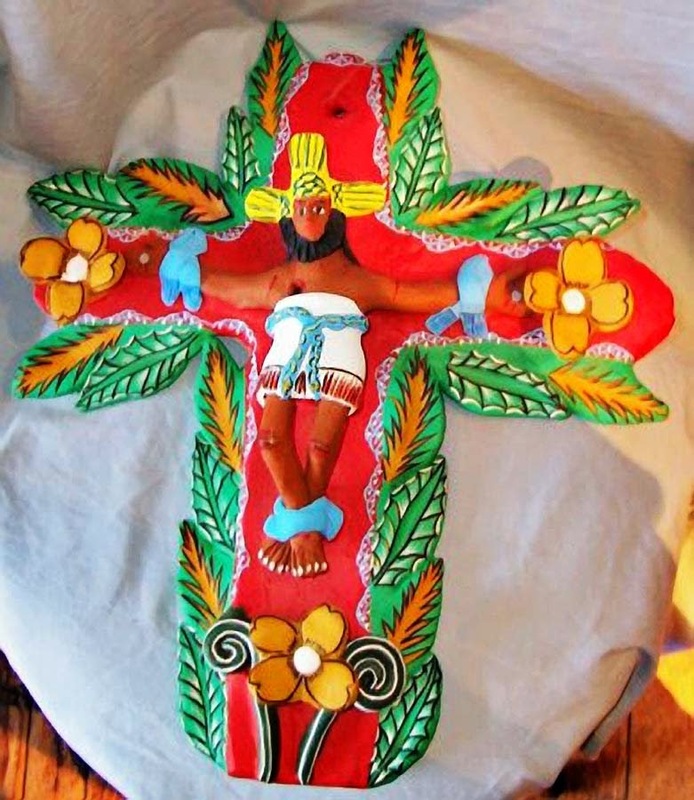 I believe that inculturation is foremost among the areas that suffer the brunt of counter-reform. And this is happening a few years after the publication in 1994 of the Instruction: The Roman Liturgy and Inculturation. The council fathers must have perceived that liturgical inculturation is of such consequence to the renewal of worship in local Churches that they approved four relatively long articles on the subject. 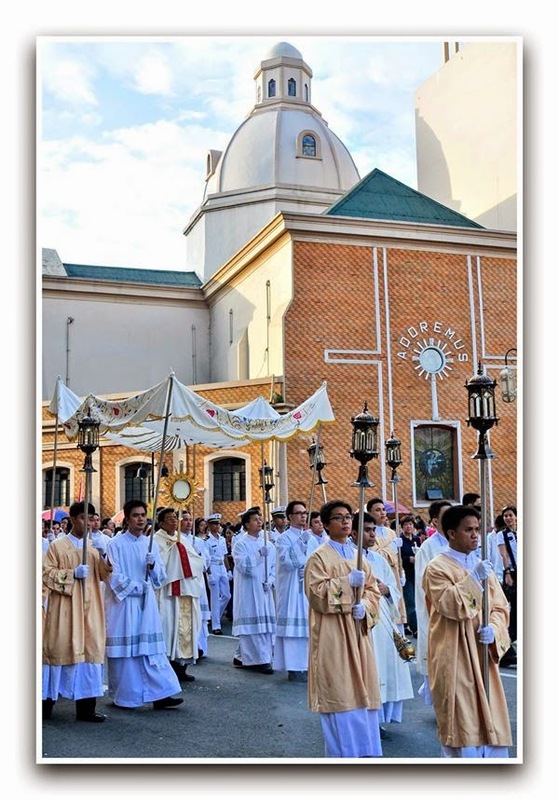 Liturgical inculturation has lately been silenced because of the emerging desire of some sectors to reinstate medieval traditions represented by the Tridentine liturgy." 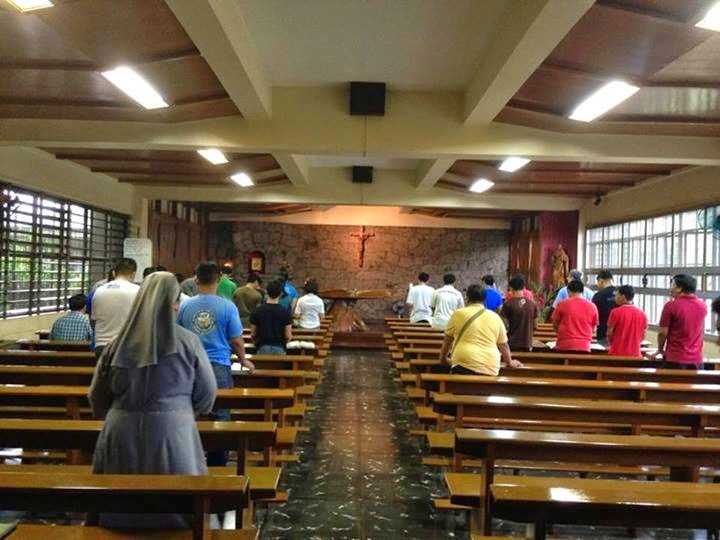 “The Liturgical Reform of Vatican II: The Philippine Experience"
The late Filipino liturgist admitted that his fabricated and experimental liturgy whose main purpose is JUST INCULTURATION is gathering dust in the Vatican archives. And rightly so. Because it is anything but an expression of the Roman Rite. It is a completely fabricated right. 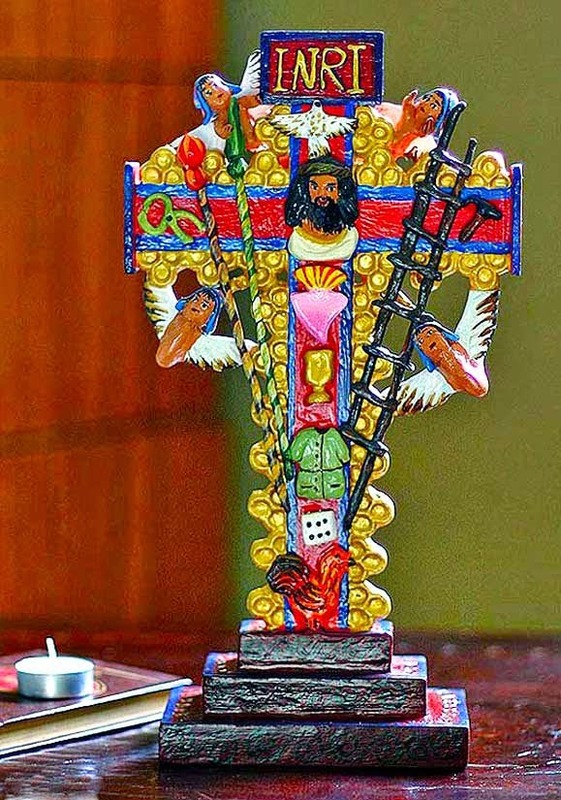 Let us turn to the Holy See's instruction about inculturation of the Liturgy. With these quotations from the Instruction: Inculturation and the Roman Liturgy issued by the Congregation for Divine Worship and Discipline of the Sacraments on March 29, 1994. This is the fourth instruction for the right application of the Conciliar Constitution on the Liturgy. 27. 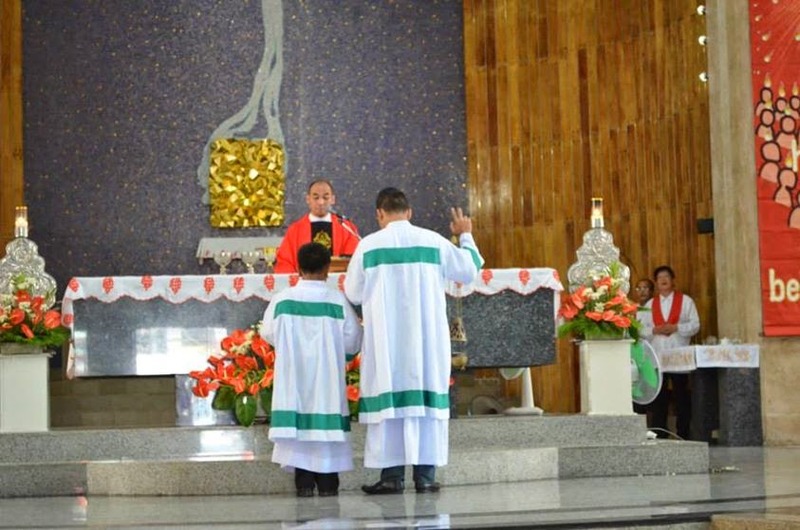 In the liturgy the faith of the church is expressed in a symbolic and communitarian form: This explains the need for a legislative framework for the organization of worship, the preparation of texts and the celebration of rites. The reason for the preceptive character of this legislation throughout the centuries and still today is to ensure the orthodoxy of worship: that is to say, not only to avoid errors, but also to pass on the faith in its integrity so that the "rule of prayer" (<lex orandi>) of the church may correspond to "rule of faith" (<lex credendi>). 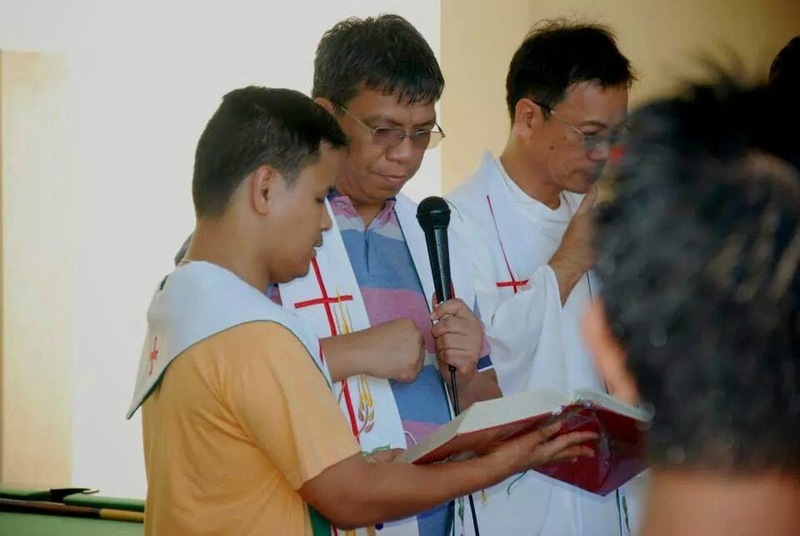 And yet with all the bragging about a world-class, professor magnificus of liturgy we have in the Philippines....with a liturgist like Fr. Diwa still in power, twisting elbows and working underground to pin faithful priests who would want to celebrate the Roman Rite (ordinary form or extraordinary form) legally and according to the liturgical books approved by competent authority, he still pushes for his liberal liturgical agenda by teaching the MBP which is now systematically being celebrated and taught in seminaries, convents and schools for future priests, religious and professional lay liturgists. While they sit back and watch these things happen. 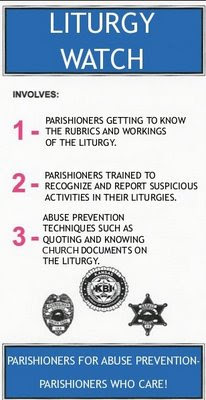 Yes, LITURGICAL ABUSE is being legitimized! Openly support priests who are faithful to the Church, who celebrate the Holy Mass the way it was meant and intended to be. Or go to a priest and have him celebrate the Traditional Latin Mass. If you had enough of the liturgical nonsense that goes on in your churches every single week, go and look for a priest who celebrates TLM. JUST STAY AWAY FROM THOSE WHO CLAIM VATICAN II IS HERETICAL. 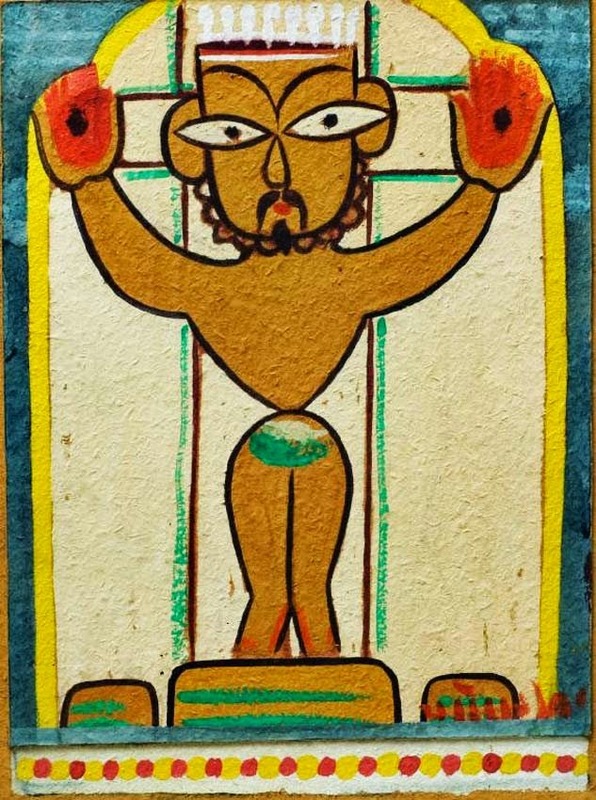 There are priests whose ego have just eaten them up, and they are present from both ends of the spectrum. One is a Franciscan, one is a colorum priest hiding in the USA. 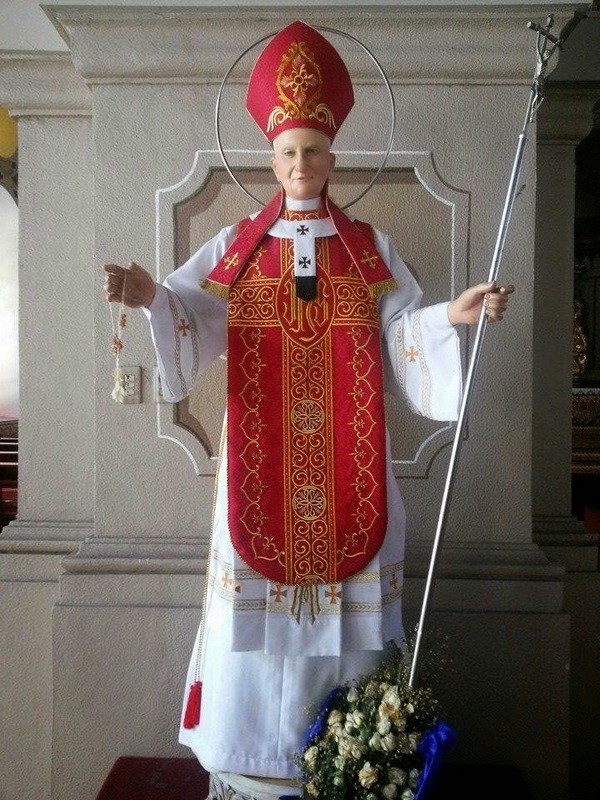 One thinks everything in Vatican is now under Freemasons, one thinks everything about the TLM is SSPX and all those who celebrate and attend the TLM are SSPX. These priests need a lot of advice from DOCTORS. Their ego is eating them up, slowly, painfully. The only way to address liturgical abuse, since the bishops would not even lift a finger against this is to STOP SUPPORTING PRIESTS WHO ABUSE THE LITURGY. Support only those priests who love the Church and celebrate the Mass faithfully! Ano naman kaya ang tinuturo nila sa mga server? Pwede mag-uwi ng hostiya para sa personal adoration! 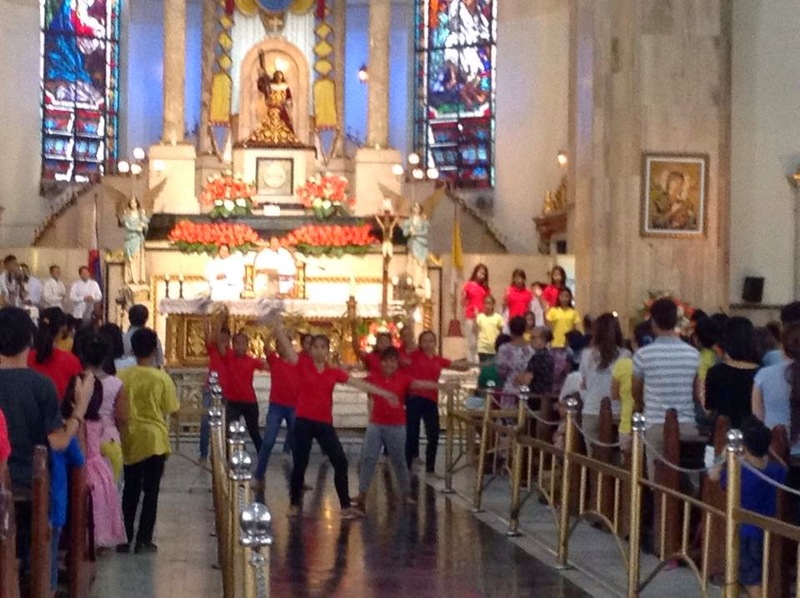 Pwede mag-sayaw sa sanctuary kasi dapat lively ang Misa! Pwede mag-kamisa de tsino kasi yan ang suot ni San Lorenzo Ruiz at San Pedro Calungsod! We shall see the results in the coming months. Abangan! 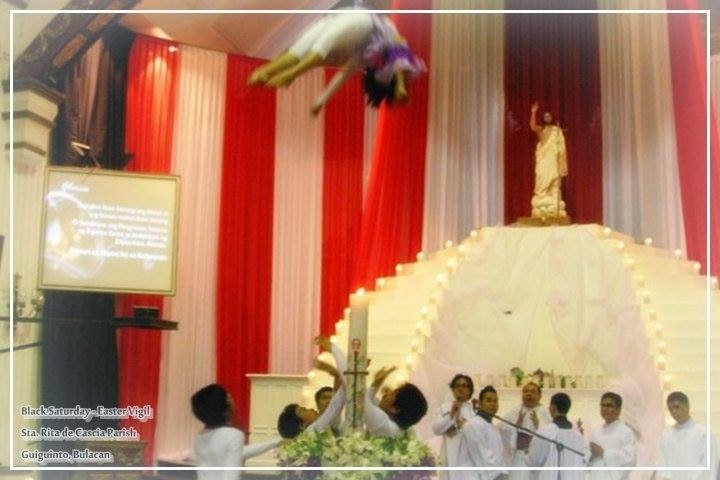 This came from the cheerleading Easter vigil church, Sta. 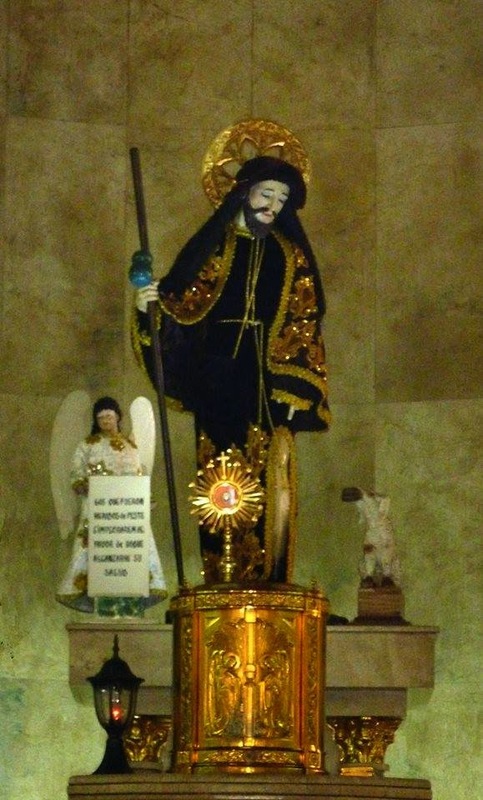 Rita de Cascia, Guiguinto, Bulacan. Is this what this parish wants the world to see? Buy some aspirin because this is really painful to see. The guilty party is Sta. 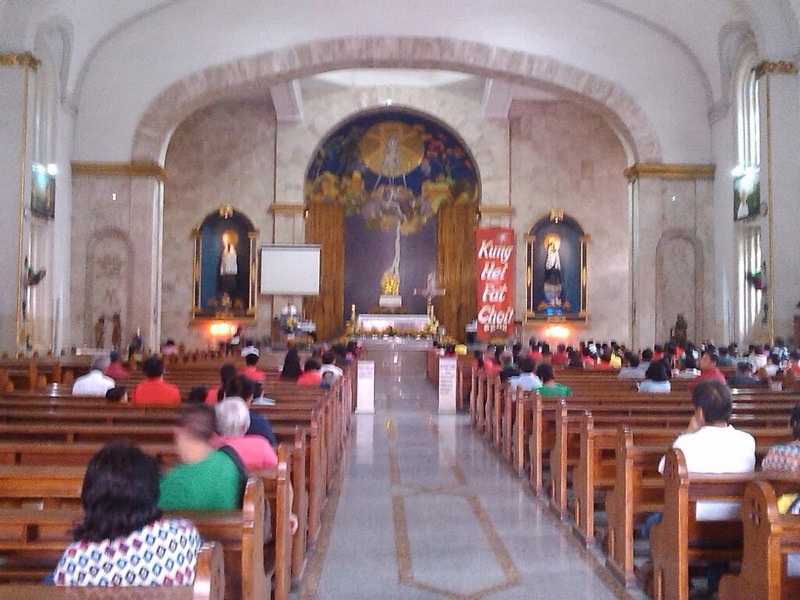 Rita de Cascia Parish of Guiguinto, Bulacan. 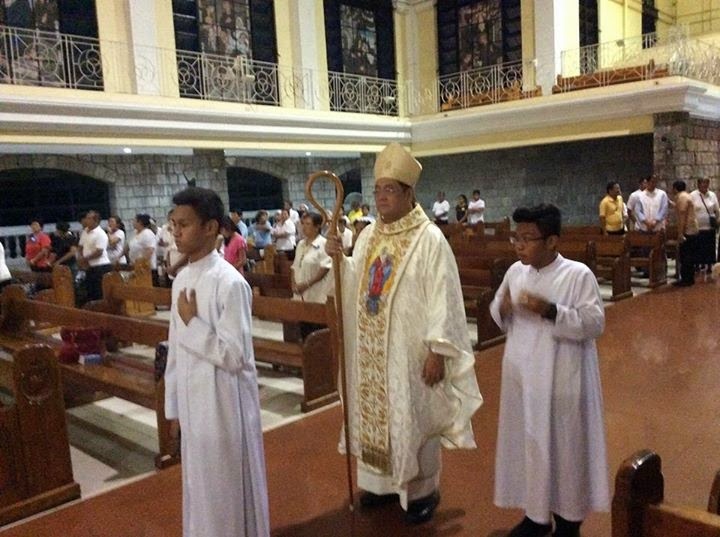 This belongs to the Diocese of Malolos, whose bishop outlawed the celebration of the Traditional Latin Mass. Well, we can see why. 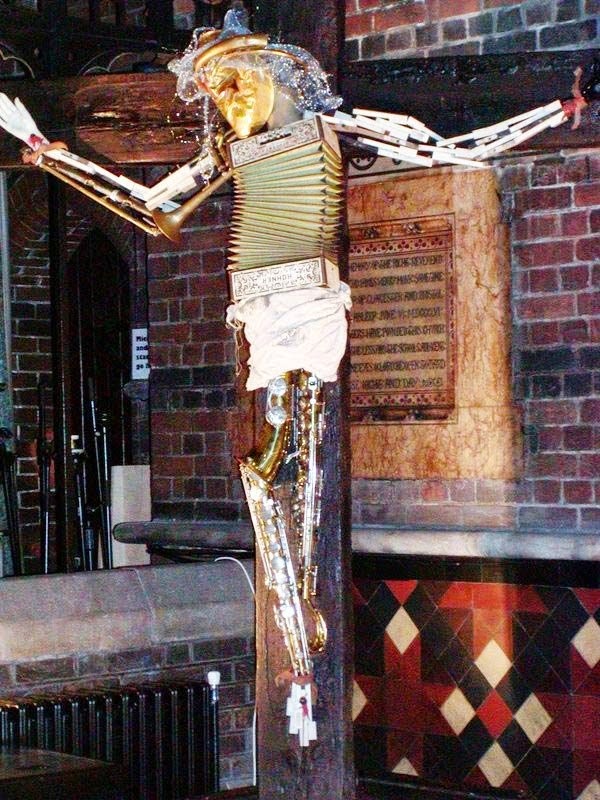 He'd rather have this than the Traditional Latin Mass. PS: HOY BOY CAPS LOCK! Tell us now that this is not a liturgical abuse in the Novus Ordo! 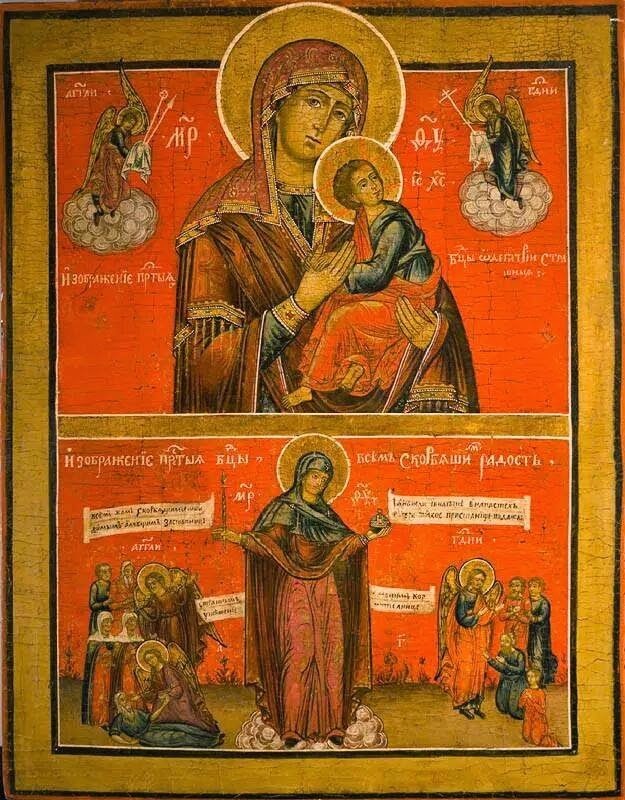 From the website of the Redemptoris Mater Seminary, Perth Australia. 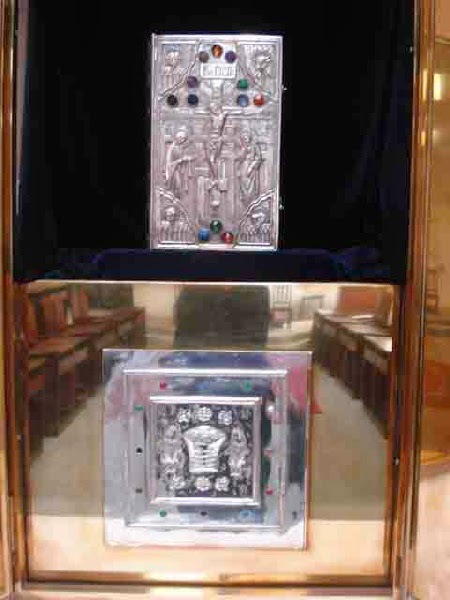 "The Tabernacle shows the Sacramental presence of Jesus in the Scriptures (Silver Bible) and the Eucharistic Species (Body of Christ)." Sacramental presence of Christ in Sacred Scriture??? 1088: To accomplish so great a work" - the dispensation or communication of his work of salvation - "Christ is always present in his Church, especially in her liturgical celebrations. He is present in the Sacrifice of the Mass not only in the person of his minister, 'the same now offering, through the ministry of priests, who formerly offered himself on the cross,' but especially in the Eucharistic species. By his power he is present in the sacraments so that when anybody baptizes, it is really Christ himself who baptizes. He is present in his word since it is he himself who speaks when the holy Scriptures are read in the Church. Lastly, he is present when the Church prays and sings, for he has promised 'where two or three are gathered together in my name there am I in the midst of them. 1376 The Council of Trent summarizes the Catholic faith by declaring: "Because Christ our Redeemer said that it was truly his body that he was offering under the species of bread, it has always been the conviction of the Church of God, and this holy Council now declares again, that by the consecration of the bread and wine there takes place a change of the whole substance of the bread into the substance of the body of Christ our Lord and of the whole substance of the wine into the substance of his blood. This change the holy Catholic Church has fittingly and properly called transubstantiation." 1378 Worship of the Eucharist. In the liturgy of the Mass we express our faith in the real presence of Christ under the species of bread and wine by, among other ways, genuflecting or bowing deeply as a sign of adoration of the Lord. 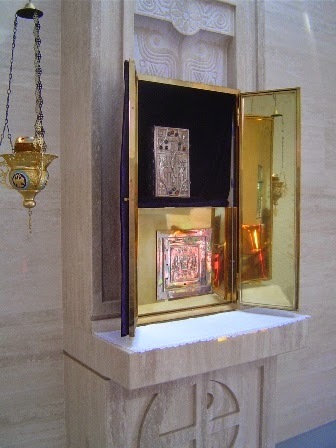 "The Catholic Church has always offered and still offers to the sacrament of the Eucharist the cult of adoration, not only during Mass, but also outside of it, reserving the consecrated hosts with the utmost care, exposing them to the solemn veneration of the faithful, and carrying them in procession." 1418: Because Christ himself is present in the sacrament of the altar, he is to be honored with the worship of adoration. "To visit the Blessed Sacrament is ... a proof of gratitude, an expression of love, and a duty of adoration toward Christ our Lord." Now, I dare the Neocatechumenal Way to cite Church teaching about the Sacramental presence of Christ in Sacred Scripture. Does Christ's presence subsist and persist in Sacred Scripture even after Holy Mass? Is the Book the same as the Bread? The Bible is NOT EQUAL to the BLESSED SACRAMENT. Photo was shared to me by a friend. What in the world are those the altar servers are wearing??? Seriously. What are those? And....another version of active participation??? It is still such a wonder, why some priests try so hard to do this when they deliver their homilies and sermons. Did Venerable Fulton Sheen do this? Did St. Anthony of Padua? Did Pope emeritus Benedict XVI? Does Pope Francis do this? They did not and do not need this cheap publicity stunt just to drive the message across. They were excellent preachers who burned the heart of those who heard the word of God by their preaching. NOT WITH THIS KIND OF STUNT. Why do i consider this a stunt? There is a reserved place to do the preaching during Holy Mass, and that place is situated so that ALL people can see you clearly. Stop walking around dear priests. The great Fr. Z, of What Does the Prayer Really Say? already made a blog post about this. PS: What the hell are those??? Surplices??? Oh yes. 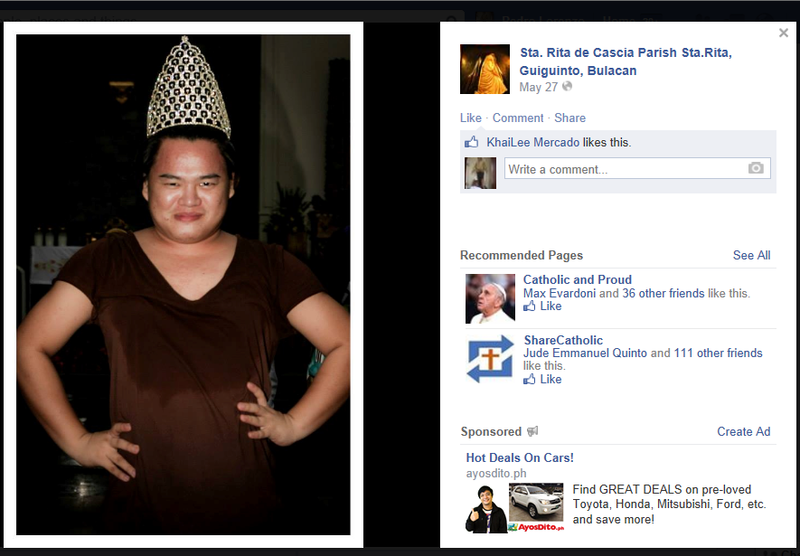 And this is the same church that posted the pagan greeting on Chinese New Year. Pagan greeting in a Catholic church posted in its sanctuary.